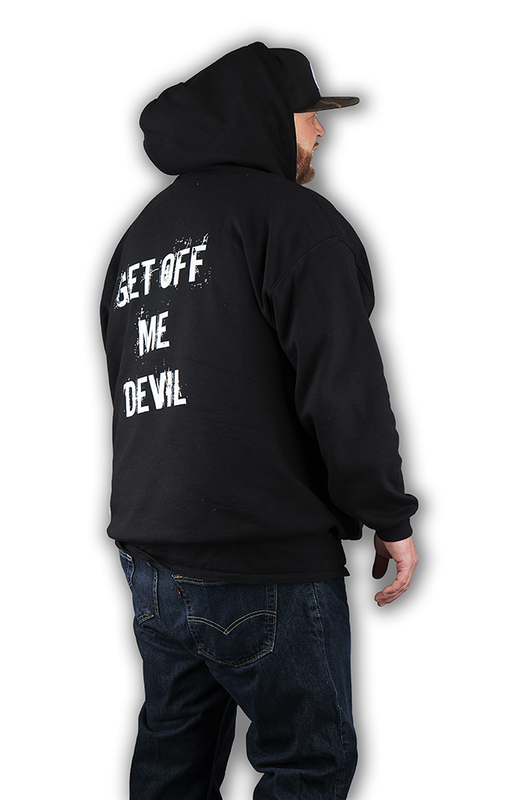 Black hoodie with Andrew Hager Live logo on the front, "Get Off Me Devil" on the back. Keep your body warm and your looks downright cool as you Skittle Bop your way through the day. $40 after taxes and shipping. Look at us living on the right side of the law! 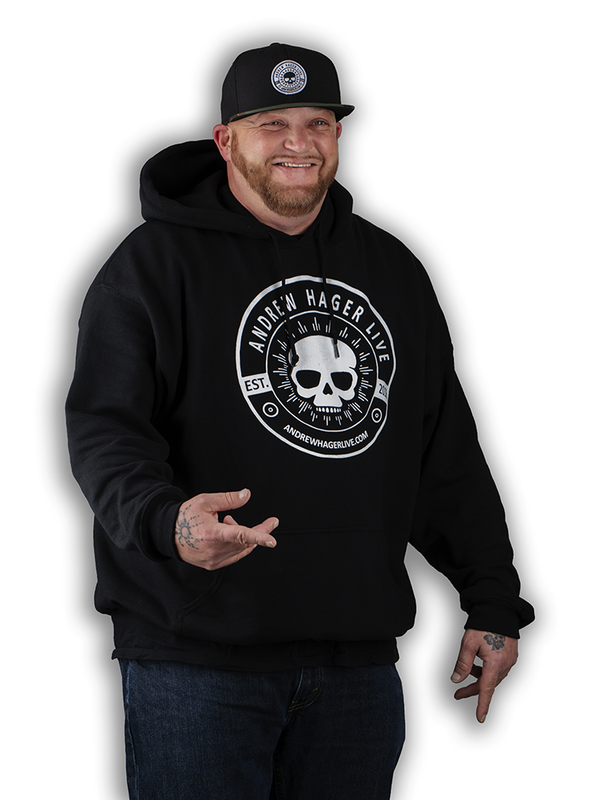 This ain't no cheapo hoodie you buy from the back alley, this is a quality manufactured hoody, screen printed right here in Kentucky. We're not sure if it was in a basement, but it was for sure in Kentucky. 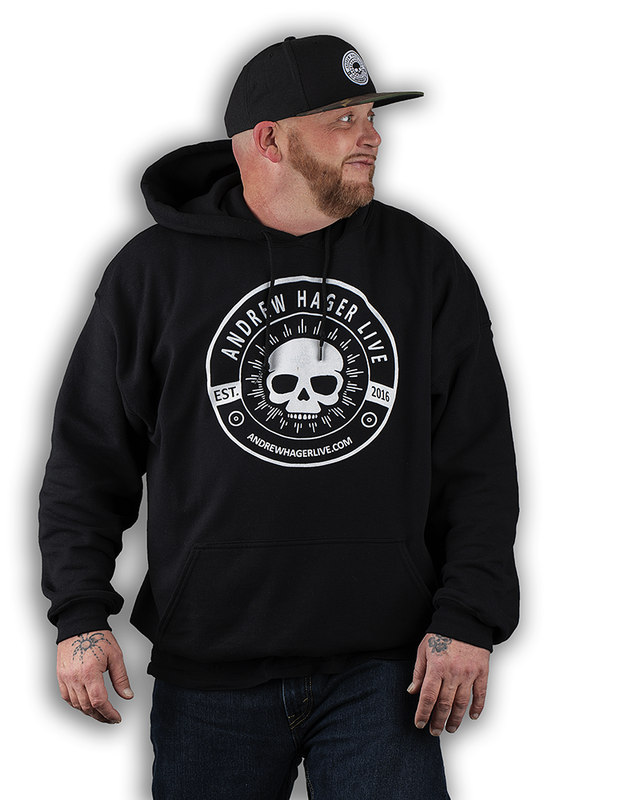 Your purchase directly supports Andrew's efforts to support recovery, highlight good people, and entertain the community.